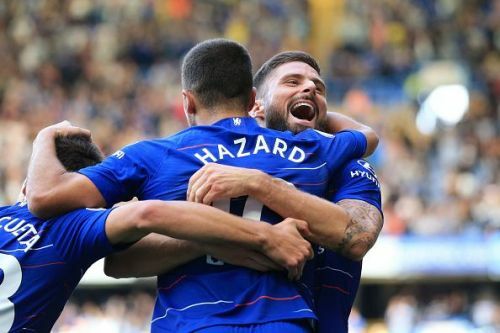 A hat-trick from Eden Hazard proved to be too much for newcomers Cardiff City as Chelsea thumped them by 4-1 in a game that saw footballing genius from the home side, along with chunks of possession that they enjoyed. Willian netted a screamer after coming off the bench to cap off a fine victory. For Cardiff City, centre-half Souleymane Bamba scored. Here are the talking points from this game where 'Sarrismo' was in full force. Cardiff took their share of possession with a positive attitude. Right from the start, they alerted everyone with their long balls, physical challenges and long throw-ins. Against many predictions, the visitors didn't just sit back and attempt to play deep. Their full-backs played in advanced positions and offered energy down either flanks. Diagonals, straight lofted passes, hold up play from Ward were part of their early pressure. Then came a set-piece. The ball was lofted to the near post, which then fell to Sol Bamba, who stuck a foot out and shocked every single soul at Stamford Bridge by making the breakthrough. There was nothing attractive about the passage of play. It was simple, training ground routine with first two balls being won. 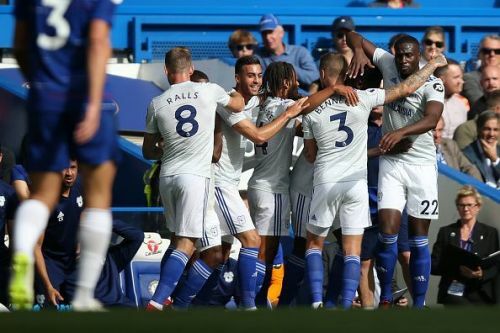 The Blues then shifted gears, recycled possession repeatedly but were kept at bay by a stubborn Cardiff back line and Neil Etheridge's spectacular saves. Moments after the goal, Kovacic let one fly from the right but was denied by the opposition keeper. The same man again found himself in a one-vs-one with the shot-stopper, who made himself big to deny the Spaniard his first Chelsea goal.